This self drive itinerary combines an overnight stay in Reykjavik with a stay in the south west countryside at Litli Geysir. 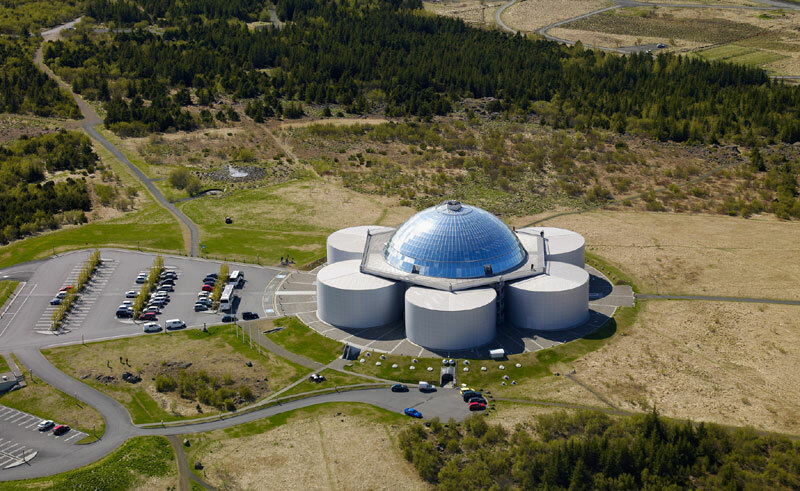 Based in Geysir, you'll be within easy driving distance of a myriad of natural attractions. The Golden Circle's trio of natural wonders are not to be missed by first time visitors and with the flexibility that comes with hiring a car, you are able to visit them at your own pace. 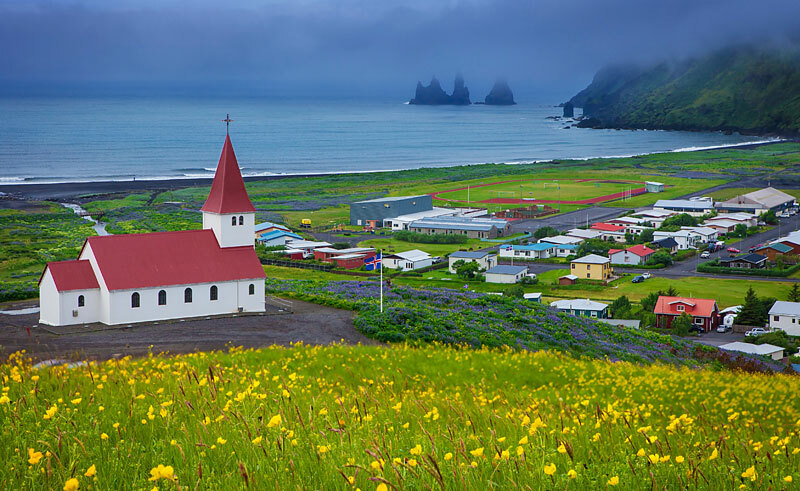 You can also choose to venture further east along the south coast taking in the stunning waterfalls of Skogafoss and Seljalandsfoss as well as the black sand beaches of Vik and cliffs of Dyrholaey. 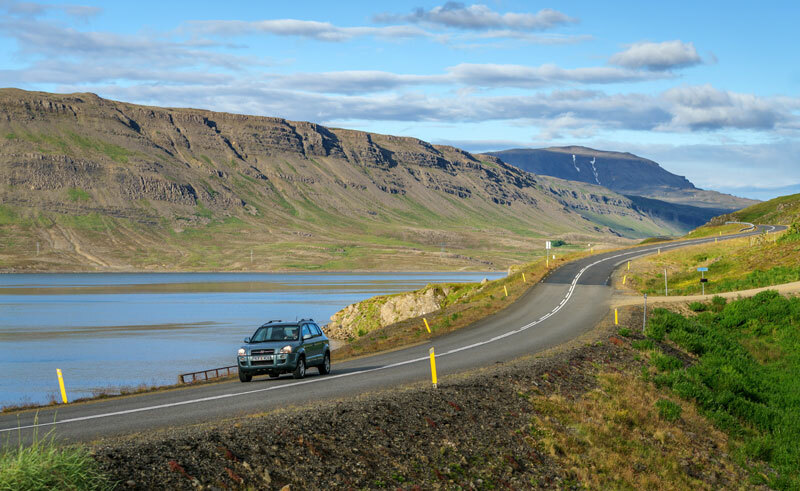 Fly to Keflavik airport, collect your rental vehicle and enjoy the scenic drive to Reykjavik, just under an hour away, where you will overnight at Hotel Cabin. 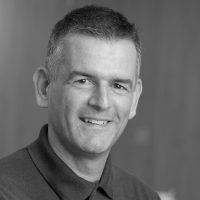 Alternatively you can upgrade to different hotel in Reykjavik - please contact our team to discuss your options. 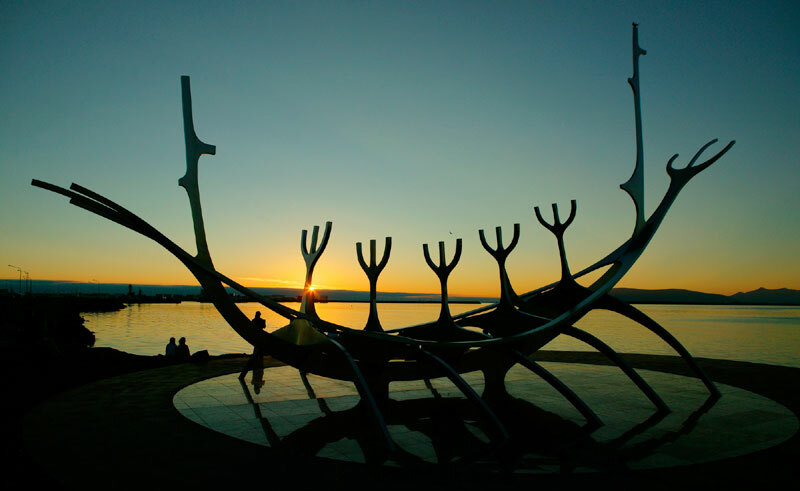 Spend the day exploring Iceland's capital, perhaps visiting some of the many fascinating museums, art galleries and landmarks or alternatively take part in an optional excursion, such as whale watching or quad biking. Then head into the countryside. Iceland's roads are generally quiet and well-signposted. There are various routes you may wish to take to your next accommodation depending on how late you wish to leave the city. 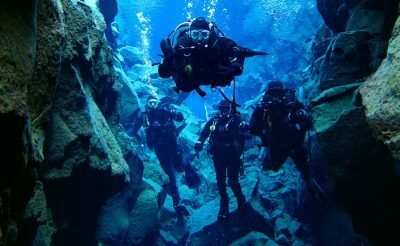 Perhaps drive via Thingvellir National Park where there is a truly beautiful lake, and walk the rift in between the Eurasian and North American tectonic plates. Alternatively take the direct route to Geysir, a journey which should take just over an hour. 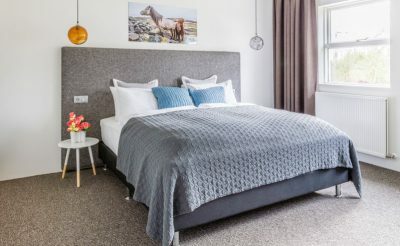 Your accommodation for the next three nights is at Litli Geysir Hote (for winter bookings) or Icelandair Hotel Flúðir (for summer bookings) ,both hotels being perfectly positioned for access to the famed Golden Circle route. Enjoy a peaceful early morning visit to the Geysir geothermal area and watch Strokkur eject its spout of boiling water into the air. 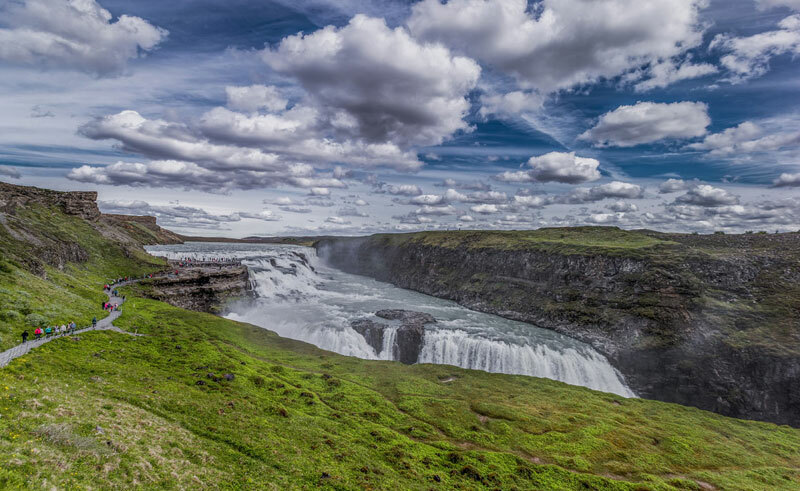 Then visit the beautiful two-tiered waterfall of Gullfoss (snowmobile excursions onto the Langjokull glacier are available from here and are pre-bookable). 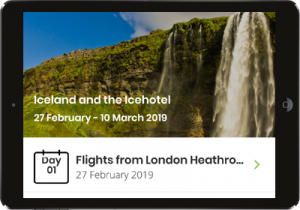 Next, head south to the majestic Seljalandsfoss and Skogafoss waterfalls, and explore along the south coast to the cliffs at Dyrholaey and the black sand beach at Vik, with its photogenic rock formations just offshore at Reynishverfi. 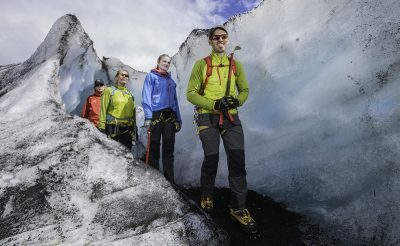 Optional activities on the Myrdalsjokull Glacier, including glacier hikes, ice climbing and snowmobiling, can also be pre-booked). Drive the fjord-side route along scenic Hvalfjordur (Whale Fjord) into West Iceland, where you can visit the Settlement Centre at Borganes before continuing to historic Reykholt for a hike to the falls at Hraunsfossar and the largest hot springs in the country at Deildartunguhver. Return to Keflavik Airport via the Reykjanes Peninsula, with its sweeping lava fields and bubbling hot springs and mud pools, or relax and unwind before you flight home with a visit to the mystical, milky waters of the Blue Lagoon. Perfectly situated with great views, this bright and airy rural hotel has 32 rooms in the charming village of Fludir. 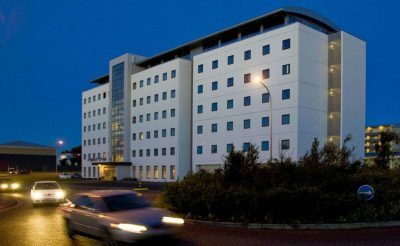 Hotel Litli Geysir is a modern building with 22 ensuite rooms. It is located opposite the hot spring area which gave the hotel its name. 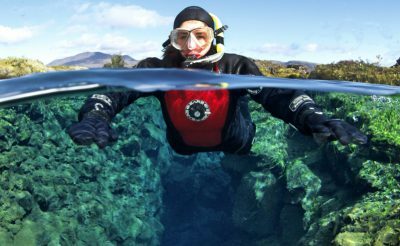 The Silfra fissure is one of Iceland's best kept secrets in the heart of Thingvellir National Park, this submerged canyon offers a wonderful snorkelling experience. 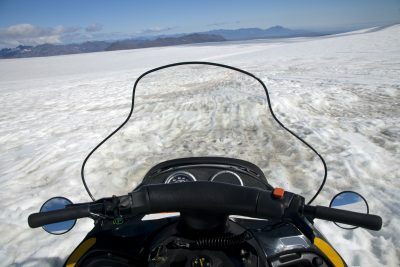 This exhilirating snowmobiling adventure takes you to the top of the spectacular Mýrdalsjökull glacier, offering, weather permitting, breathtaking views over South Iceland, one of the most scenic regions of the country. 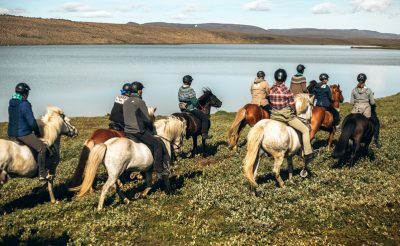 Experience riding the world's most pure-bred horse on a choice of riding excursions close to Hveragerdi, around a half hour drive from Reykjavik. From Eldhestar Horse Riding Centre (Vellir Farm) choose excursions lasting from one to three hours. Riders are matched with horses according to experience. 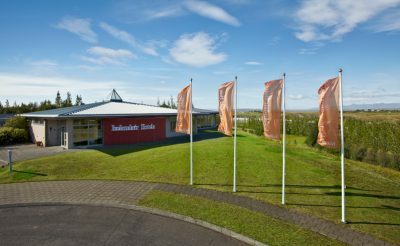 Explore the fascinating Reykjanes Peninsula based at the Northern Light Inn, your home away from home.